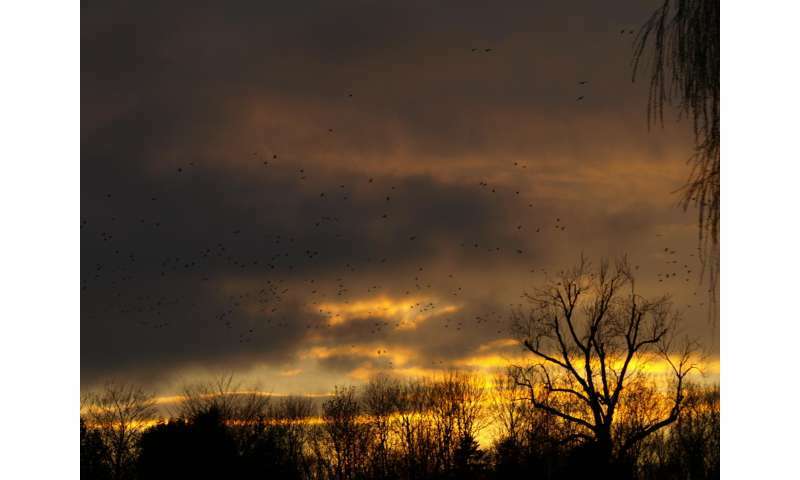 It is one of the most spectacular sights in nature - the magnificent aerial ballet of 'murmurations' taking place as a flock of tens of thousands of birds ebbs and flows across the skyline, moving as one. Such collective behaviour is a cornerstone of the complex and often mysterious natural world, from miniscule cells interacting in the human body, to co-ordinated displays of insect swarms, fish schools and even the behaviour of crowds of people going about their day- to-day lives. The riddle of how these often vast numbers of individuals synchronize their movements so flawlessly as to behave almost as a single being has only recently begun to be unravelled. However, one crucial aspect remains, as yet, unsolved - how do the large groups overcome potential differences in individual characteristics and inter-relationships of the group's members to come together and work as one, large cohesive mass? Now, an international team of scientists, led by the University of Exeter, in collaboration with Stanford University in the USA and Simon Fraser University in Canada, have embarked on a new, interdisciplinary project that seeks to decipher the enigmatic secrets behind these natural phenomena. The three year project, led by Dr Alex Thornton from Exeter's world-leading Centre for Ecology and Conservation, has received a US$1 million grant from the Human Frontiers Science Programme to study the ways in which individuals in groups respond to one another to operate as a single, super-organism. The project will incorporate behavioural experiments, 3D imaging and state-of-the-art computational techniques to determine the impacts that diverse personal characteristics and social relationships have on interactions, sub-group structures, collective decision making and, ultimately, global group dynamics of some of nature's most complex groups. Dr Thornton, a Senior Lecturer based at the University of Exeter's Penryn Campus in Cornwall said: "The mechanisms that allow thousands of individuals to move as one, such as flocking birds or huge schools of fish, have begun to be better understood in recent years. Scientists have used mathematical models to show how a collective 'order' can emerge as a by-product if those individuals follow a set of simple rules to interact with their neighbours. "However, we know that animals are not identical, and their behaviour is likely to be influenced by their own individual characteristics and their relationships with others within social group." 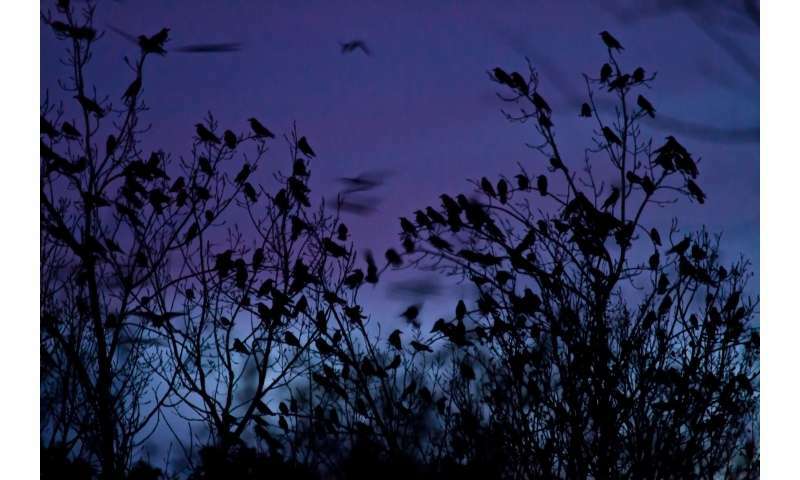 The research team will focus on the coordination of collective movements in mixed-species flocks of jackdaws and rooks, highly intelligent birds of the crow family which live in complex social groups, and form long-term monogamous pair-bonds. The team believe that by developing a greater understanding of how these birds interact will have major, wide-ranging implications, from determining how animal groups respond to threats, to mitigating the impacts of crop pests, managing crowd safety and developing intelligent systems in robotics. 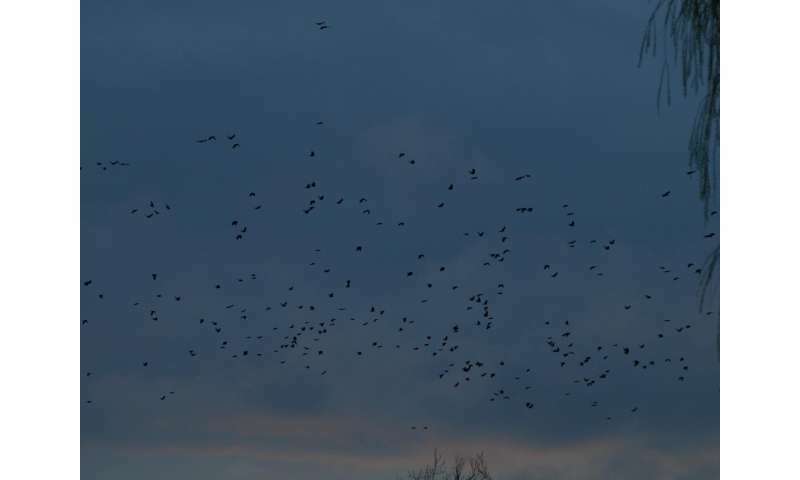 Dr Thornton added: "Although people may not realise it, the familiar sight of flocks of jackdaws and rooks that darken our winter skies is amongst the most complex aggregations of animals on Earth. By studying the movements of individual birds within flocks, and their interactions with one another, we will help to reveal how complex societies remain cohesive and make collective decisions."